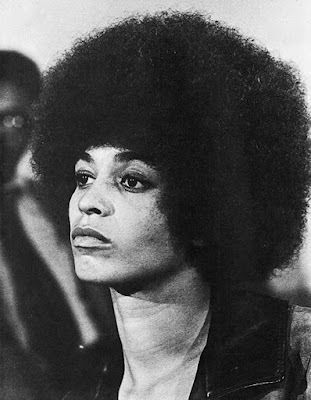 Dr. Angela Davis just celebrated her 75th birthday. Word is there is a biopic that will start filming in June of this year of her life and times. Super excited and a long time coming for this Shero. For those who do not know, Ms. Davis was a member of an all black U.S. communist party during her early years. She was also affiliated with the Black Panther Party. Davis was also very close with the Soledad Brothers whom she was accused and charged of helping to break out of prison. She was found not guilty. Read more about the upcoming Biopic at SHADOW AND ACT and check out video footage below detailing her trials and tribulations. Now it's time to get Assata Shakur a.k.a Joanne Chesimard FREE!! FREE'EM ALL!